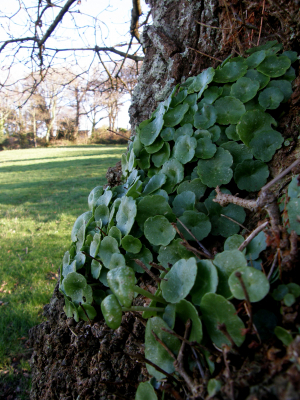 Observation - Wall Pennywort - UK and Ireland. Description: Clump of pennywort growing in the hollow of an ancient oak. Clump of pennywort growing in the hollow of an ancient oak.